We recently had the chance to sit in on a discussion with Cara and five other formidable people changing the name of the activism game at the Teen Vogue Summit in Los Angeles, California. The theme of the Teen Vogue Summit was all about celebrating and shining a spotlight on the change-makers. The two-day summit was a curation of panels, one-on-one discussions, activations and some of the most valuable conversations from celebs and change-makers like Serena Williams, Prabal Gurung, Terry Crews and Eva Longoria. During her keynote speech, Cara was joined on stage with young activists including, Deja Foxx, young politician Lily Madigan, and Olympian Maame Biney with other members of Teen Vogue’s 21 under 21 Class of 2018. And she had a lot of wisdom to throw down. After listening to Cara, we were more inspired than ever. And that was just the first panel of the day. You shouldn’t be defined by one thing. You can be as many things as you want to be. Be as much as possible. Cara is a model, actress, activist, and many other things. She doesn’t want to be defined by one attribute, nor does she feel she has to be. You know why? Because your interests and skills will change over time, and that’s totally cool. Give yourself positive affirmations every day. Be honest with who you are and how you feel all the time. Positive affirmations might be the spark you need to start your day off on the right note. We all need them. It’s okay to give yourself permission to not be okay. Even a supermodel like Cara has terrible days and insecure moments. Go with it and tell yourself you’re a badass, anyway. 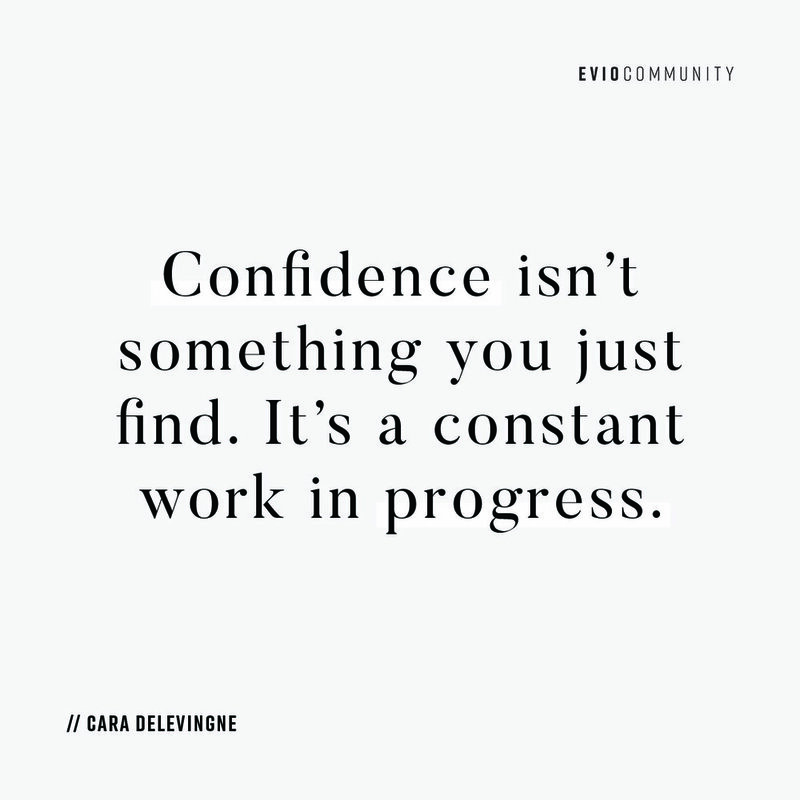 Confidence isn’t something you just find. It’s a constant work in progress. This is a helpful reminder that you don’t just wake up one day with confidence. It builds, it grows, and it’s constantly evolving. Do you, boo. This helpful piece of advice comes for activist, Deja Foxx as a way to reduce the stress and anxiety of the To Do list. Wise words from Lily Madigan who told Cara to make the haters your inspiration.